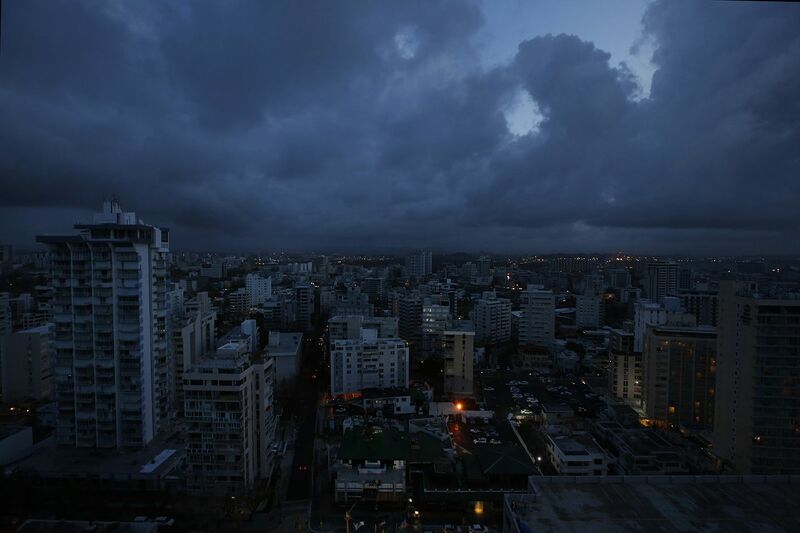 In August, nearly one year after Hurricane Maria wrecked Puerto Rico’s electrical grid and plunged its 3.4 million residents into darkness, island officials heralded a milestone: The lights were back on. The state-owned electric company even tweeted a photo of a smiling family it said was the last to receive power. The power uprising over the second largest blackout in world history provides a window into the civic and political landscape in a place where government institutions, saddled by bankruptcy and a federally appointed management board, failed in devastating ways. It also underscores a sobering reality a year after Maria: Many Puerto Ricans are, to some extent, still on their own. For eight months after the storm, Mariana residents lived without stable means of lighting, refrigeration or laundry. “People were on the verge, psychologically and physically,” says Nieves. She and her partner established Proyecto de Apoyo Mutuo, or Project for Mutual Aid, to coordinate clean-up efforts, prepare meals and check on locals after the storm. The initiative attracted the attention of a mainland group called Mutual Aid Disaster Relief, whose founding members did disaster relief work in New Orleans following Hurricane Katrina. To MADR co-founder Jimmy Dunson, Nieves’s efforts echoed his own group’s “anarchistic organizing”—revolution with more purpose than protest. MADR volunteers were already in Florida, helping in the aftermath of Hurricane Irma, when family and friends alerted them of the dire situation in Puerto Rico. They pooled their own money and solicited donations to purchase water purifiers, solar power equipment and plane tickets to the island. “It was quite surprising when they showed up to our operations, and they kept coming back,” says Nieves. 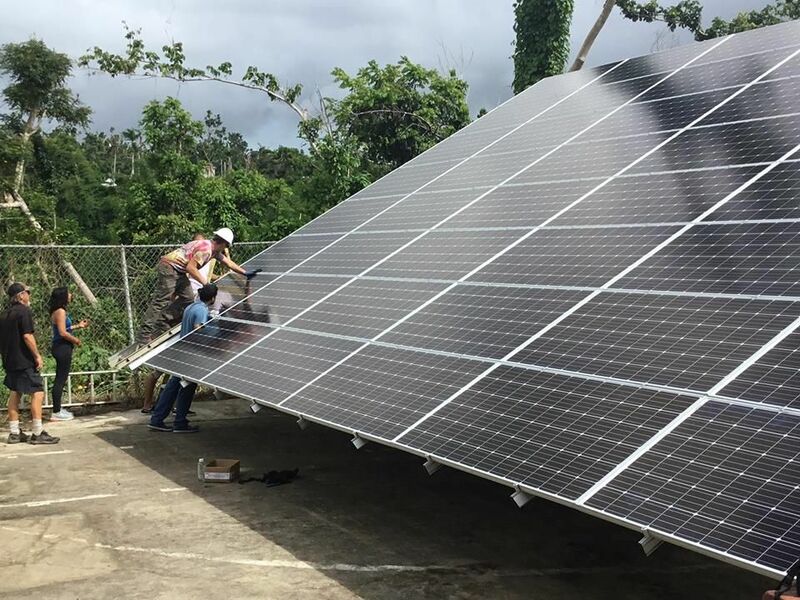 Together, the two organizations distributed food and water and provided basic health care, setting up a key project: the installation of a solar-powered “micro-grid” in Mariana, a self-sustaining electric system owned and managed by the community. Working with local construction workers, electricians and even firefighters, volunteers overcame understaffed ports and destroyed roads to import a solar array, battery bank and storage container to protect all of the equipment from future storms. Total cost: $60,000, funded by donations. The grid now powers an abandoned school turned communal kitchen, a laundromat and an office, where residents can charge their electronics and tools. The system does not reach individual homes, but its modular design can be expanded or transported to where need is greatest. While there’s been little proselytizing in Mariana, radical ideas are in the air. “What we have talked about is self-governance,” Nieves says, “and we’ve talked about self-organizing.” She uses the Spanish term autogestion, or self-management, which anarchists have advocated since the time of Pierre-Joseph Proudhon, the 19th-century French philosopher who was the first to describe himself as an anarchist. Is the movement supported by authorities? “That question assumes that local government and police are actually involved and active,” says Nieves with a laugh. While Dunson acknowledges that authorities sometimes assisted MADR by providing volunteers with food, water and other supplies to distribute, he argues that government is nevertheless poorly suited for disaster relief. The state-owned electrical grid, for example, was allowed to fall into such disrepair that even after Maria passed, it suffered at least two more big outages following patchwork repairs. “The government has access to a vast quantity of money and supplies,” he says. “But even if everybody in that institution had the best of intentions, due to their top-down nature, they do not have the fluidity or flexibility that more grassroots initiatives have.” He cites reports of supplies rotting in government offices and accusations that both island agencies and federal authorities hoarded desperately needed construction materials. Unfortunately for both sides, another hurricane might be about to put his theory to the test.